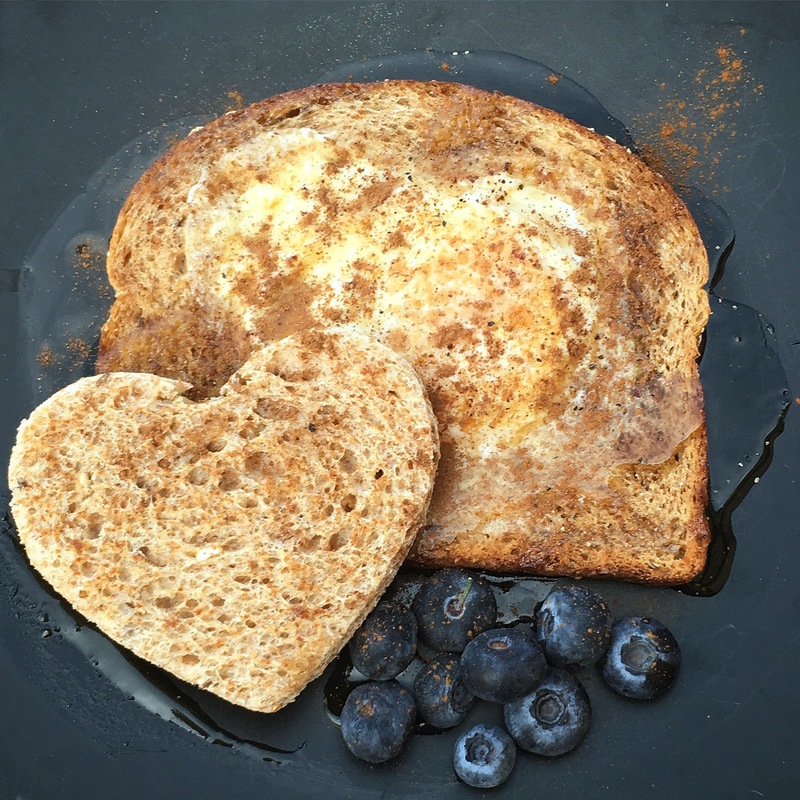 The way to your Valentine’s heart is through their stomach, so I wanted to share this perfect Valentine’s Day breakfast with you before the big day! 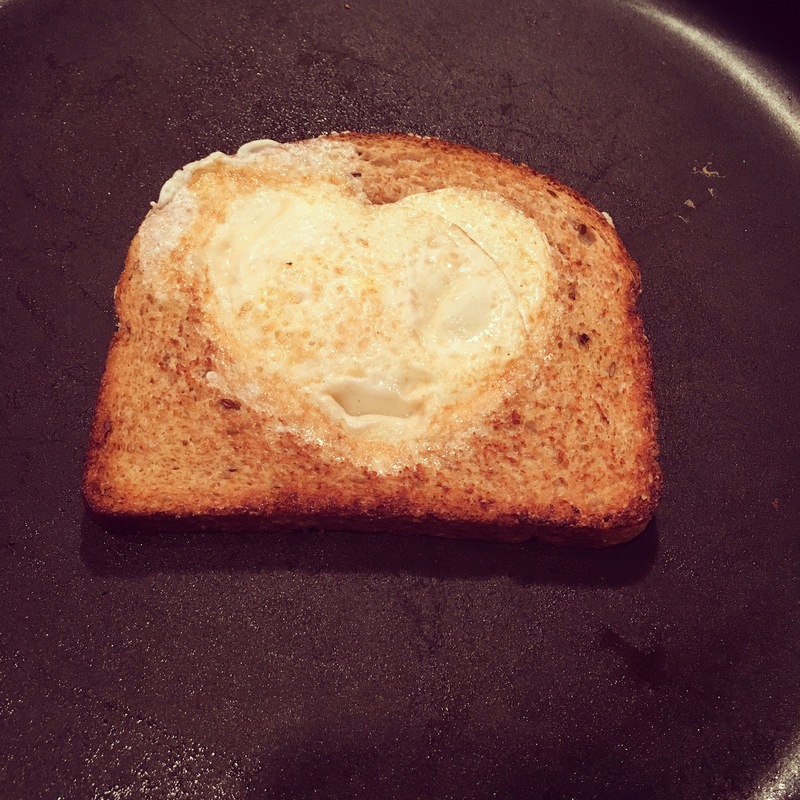 This is my take on The Pioneer Woman’s : Egg-In-A-Hole recipe, with an Espresso Ever After touch of SWEET LOVE! It is a super simple recipe and a perfect opportunity to let the little ones lend a hand and help out in the kitchen. 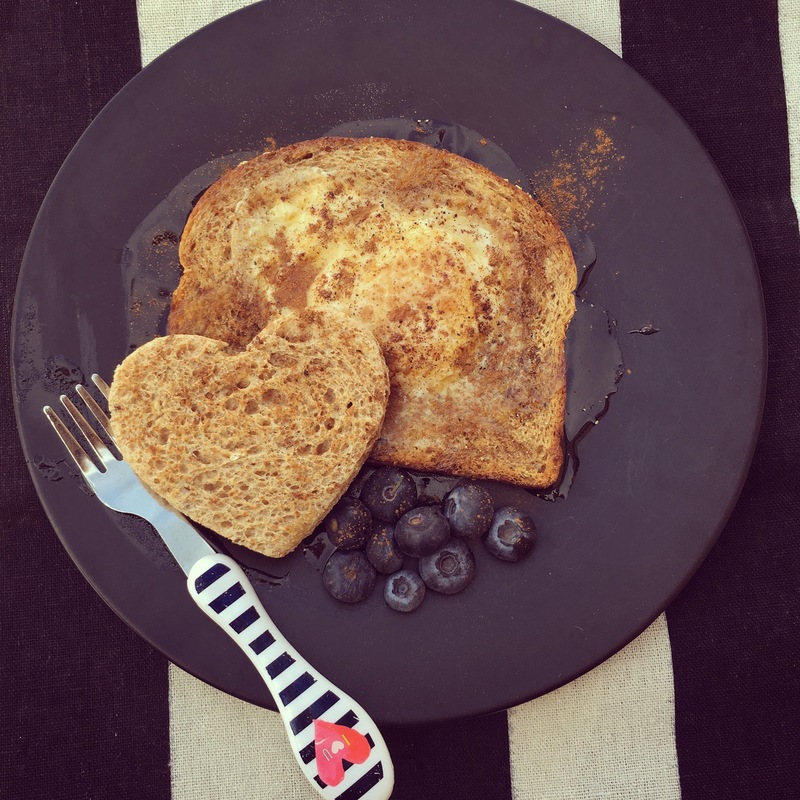 I hope this lovey-dovey recipe brings your Valentine a warm heart… and a happy tummy! 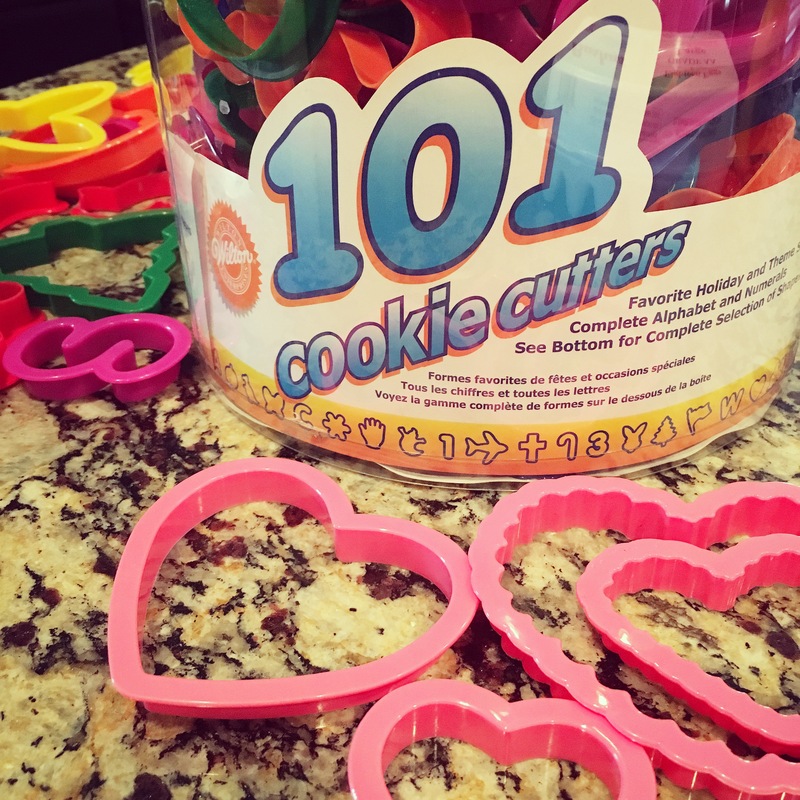 *My heart cookie cutter comes from this incredible cookie cutter set – Wilton’s 101 Piece Cookie Cutter Set. I adore this product and all of the shapes and sizes come in handy quite often. Click HERE to order your own cookie cutter set. Click HERE to see my review post on this cookie cutter set and to see how it can help your picky eater. 1.Start with a slice of bread and a heart cookie cutter. 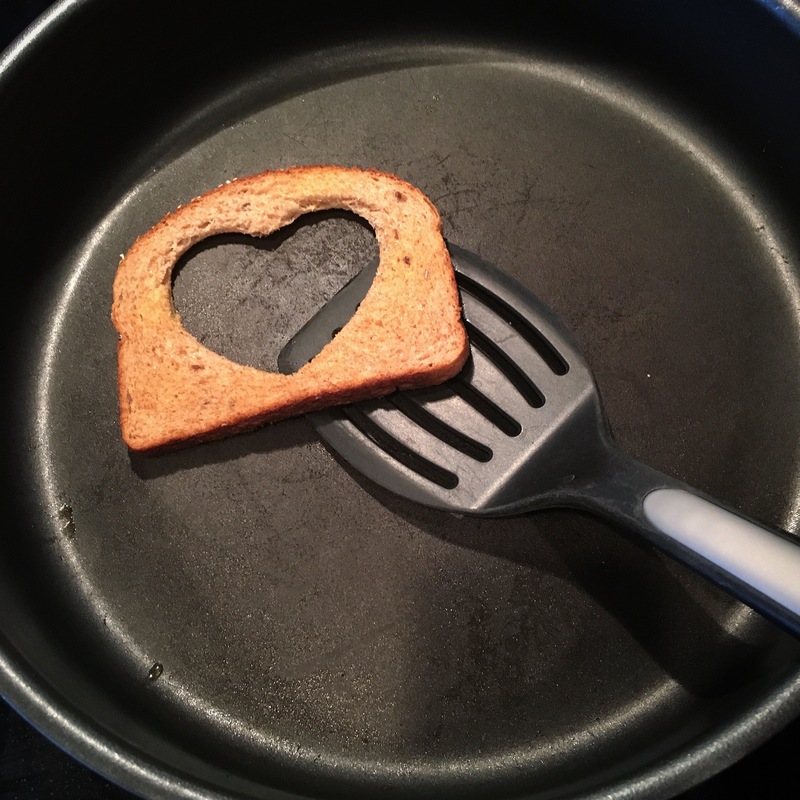 Cut out the center of the slice of bread with your heart cookie cutter. Keep the heart portion you cut out, it will be needed later. 2.Next, heat up the skillet on medium heat. 3. With butter (or butter spray) coat each side of the piece of bread before placing it in the warmed skillet. I prefer a crunchy piece of toast, so flip the bread over and back a few times to brown it a little before adding the egg. 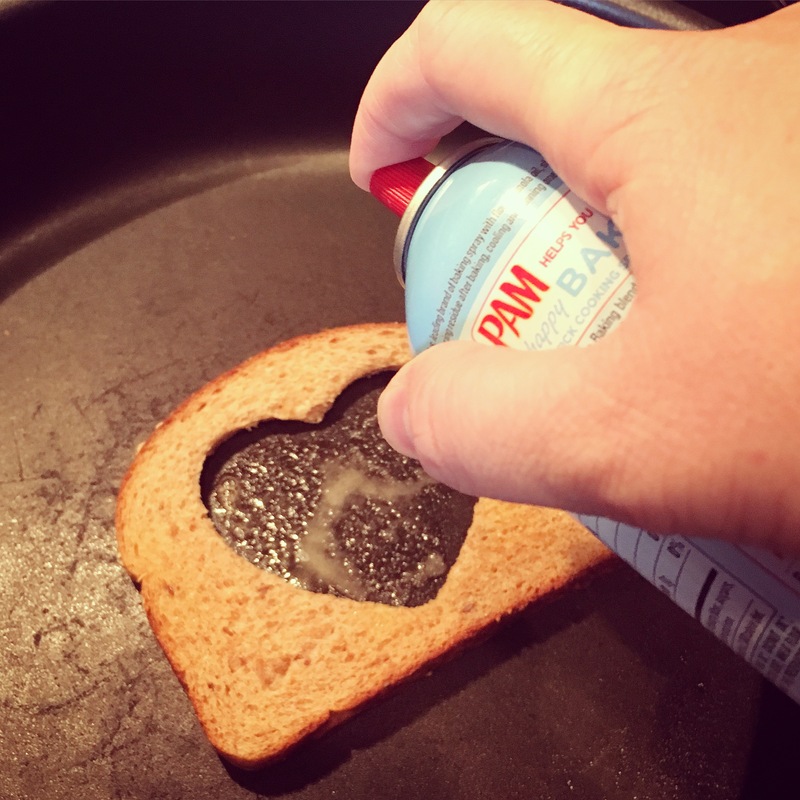 4.With butter (or cooking spray), coat the bottom of the pan where the empty heart hole is. 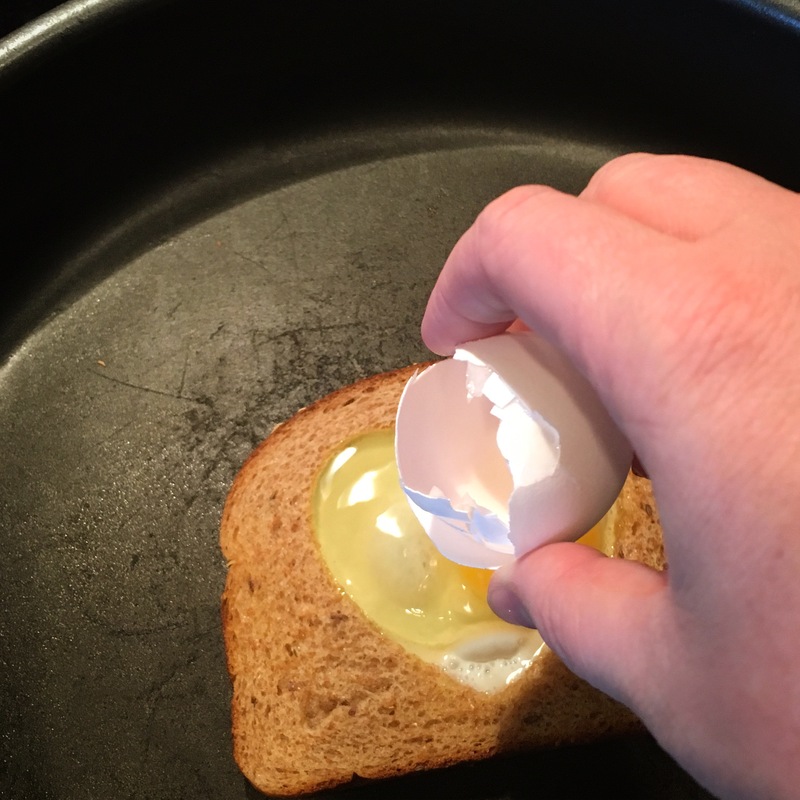 This will prevent the egg from sticking to the pan. 5. Add the egg, crack it open in the heart hole. Cook it for at least 30 seconds before attempting to move the bread, or things could get messy. After about 1 minute, flip the piece of toast over and cook the other side for the same amount of time. 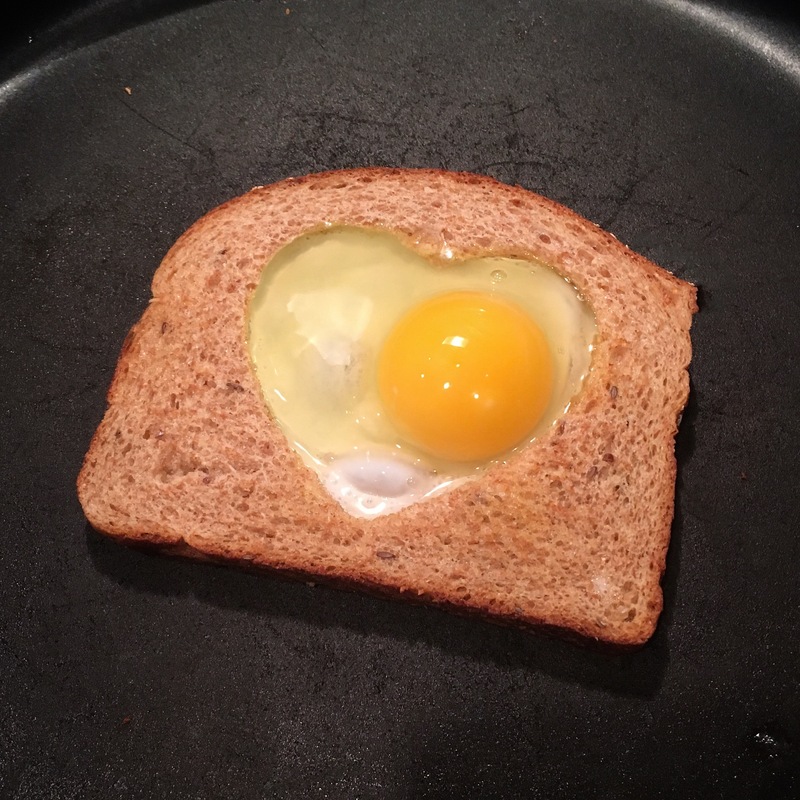 The goal is to have a browned (not burned) slice of bread with a soft and unbroken yolk inside. 6.Once you plate your masterpiece, drizzle it with maple syrup and sprinkle it with cinnamon. These two items give this breakfast a similar flavor to french toast. I also like to garnish it with fresh blueberries. All of these flavors work so well together! 7. 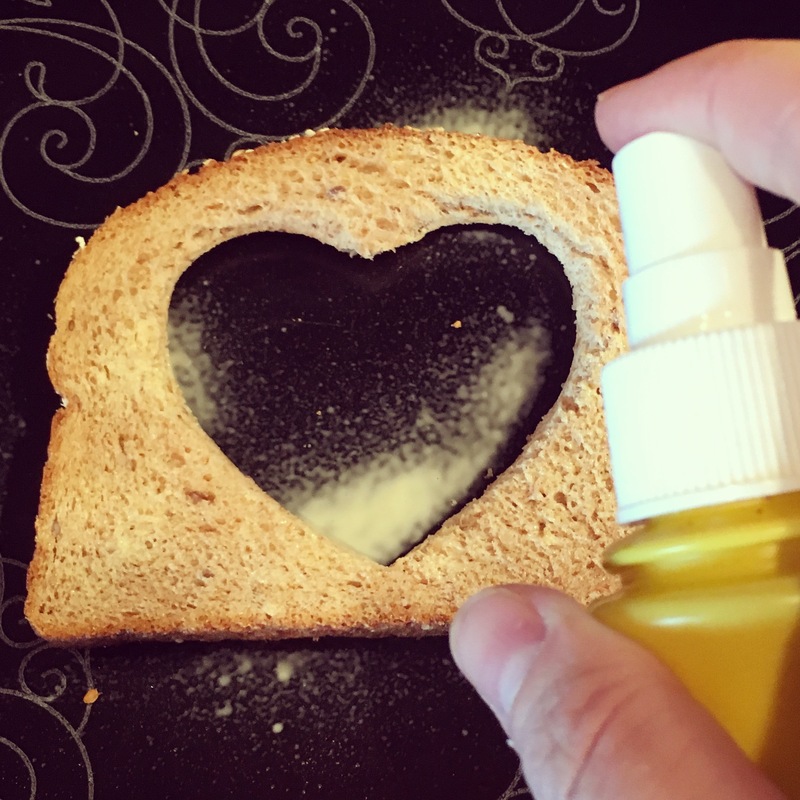 Remember the heart cut-out of bread from step 1? … Throw it on the skillet and brown both sides. Add this extra piece to your plated dish, it is the perfect finishing touch! LOVE! I hope this lovely recipe makes your Valentine’s morning extra special. 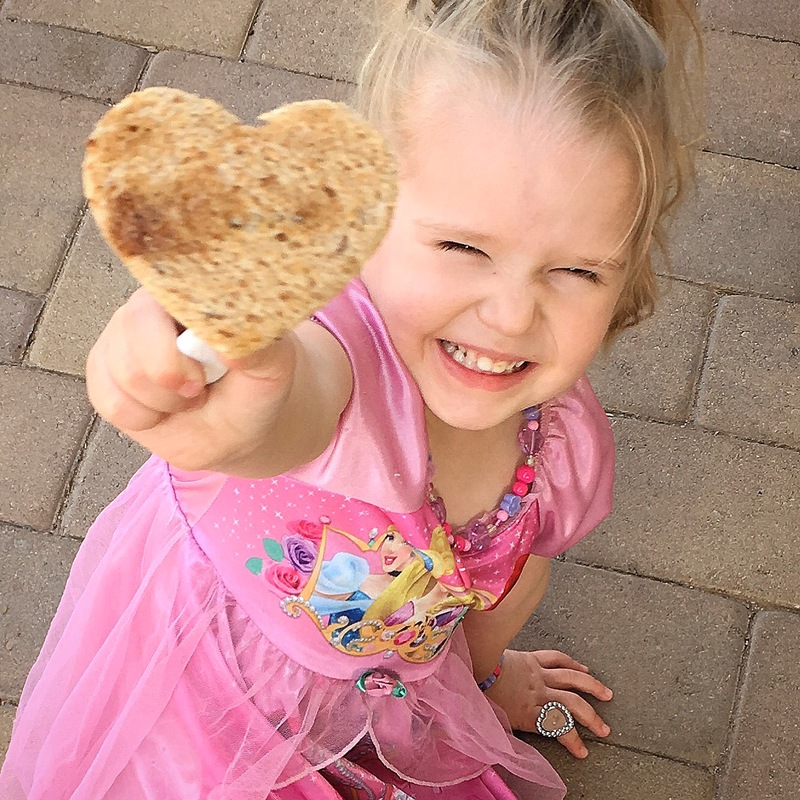 …My little Valentine LOVED it! Hugs & Kisses – Happy Valentine’s Day! 1 Heart Cookie Cutter (needs to fit inside of the slice of bread) *My heart cookie cutter comes from this incredible cookie cutter set - Wilton's 101 Piece Cookie Cutter Set. I adore this product and all of the shapes and sizes come in handy quite often. 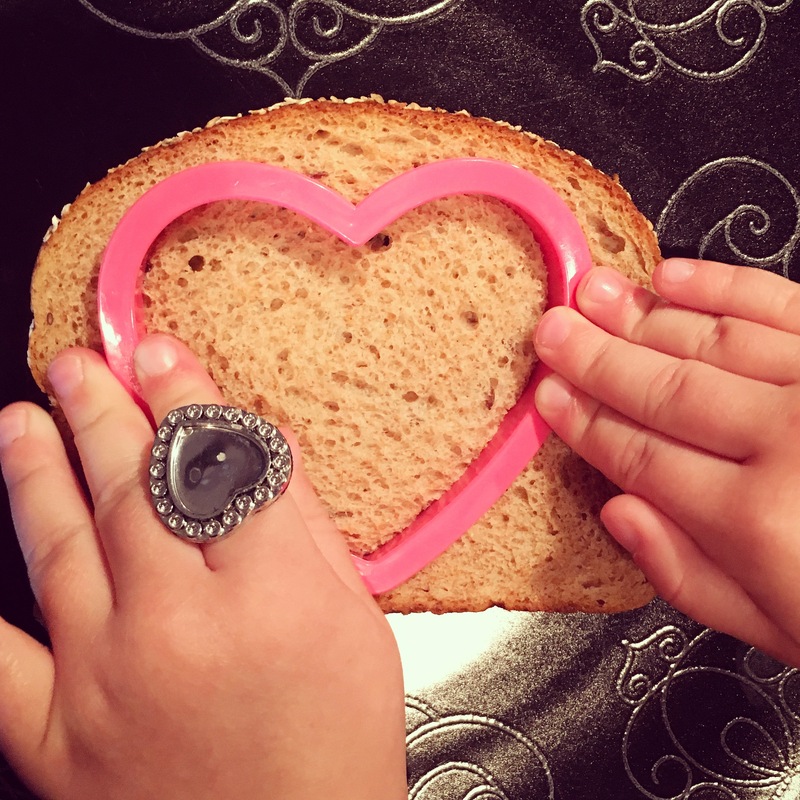 Start with a slice of bread and a heart cookie cutter. 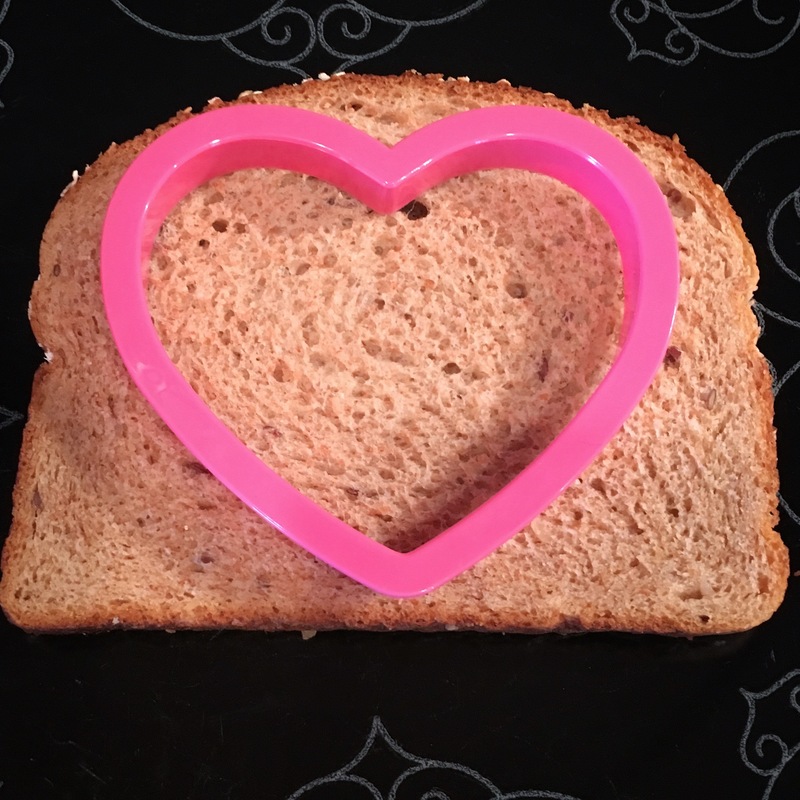 Cut out the center of the slice of bread with your heart cookie cutter. Keep the heart portion you cut out, it will be needed later. Next, heat up the skillet on medium heat. With butter (or butter spray) coat each side of the piece of bread before placing it in the warmed skillet. I prefer a crunchy piece of toast, so flip the bread over and back a few times to brown it a little before adding the egg. With butter (or cooking spray), coat the bottom of the pan where the empty heart hole is. This will prevent the egg from sticking to the pan. Add the egg, crack it open in the heart hole. Cook it for at least 30 seconds before attempting to move the bread, or things could get messy. After about 1 minute, flip the piece of toast over and cook the other side for the same amount of time. The goal is to have a browned (not burned) slice of bread with a soft and unbroken yolk inside. Once you plate your masterpiece, drizzle it with maple syrup and sprinkle it with cinnamon. These two items give this breakfast a similar flavor to french toast. I also like to garnish it with fresh blueberries. All of these flavors work so well together! 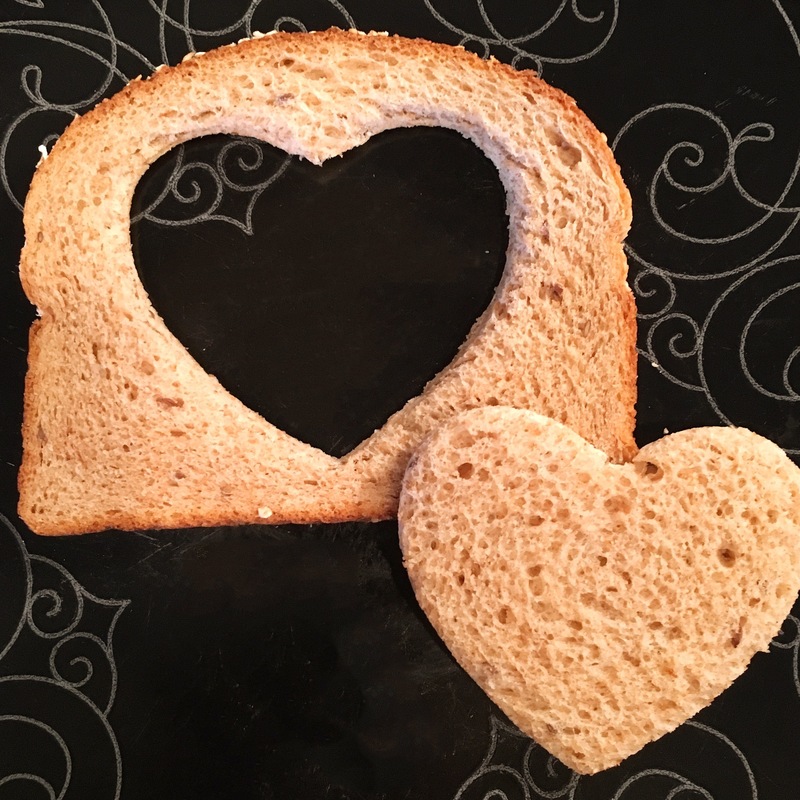 Remember the heart cut-out of bread from step 1? ... Throw it on the skillet and brown both sides. Add this extra piece to your plated dish, it is the perfect finishing touch! LOVE!